Renting In Graduate Hospital: What Will $1,400 Get You? 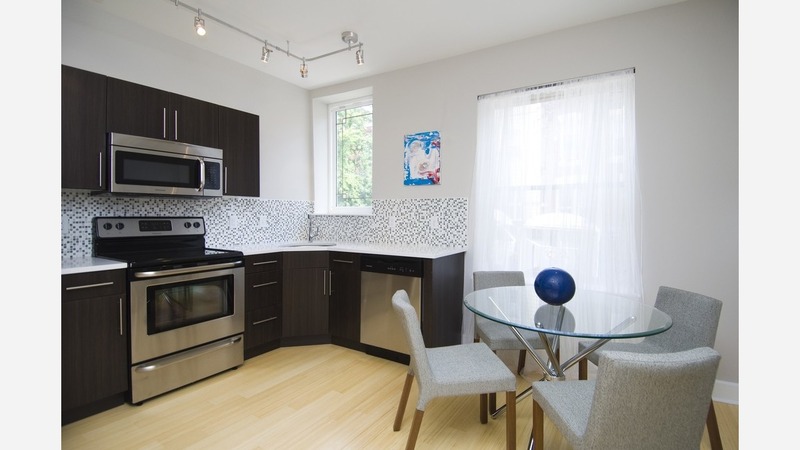 Listed at $1,400 / month, this 700-square-foot 1-bedroom, 1-bathroom apartment is located at 2332 Carpenter St. In the unit, you can expect hardwood floors, high ceilings, a dishwasher, in-unit laundry, a walk-in closet and garden access. When it comes to building amenities, expect outdoor space; Both cats and dogs are welcome. Next, there's this 1-bedroom, 1-bathroom unit located at 712 S 16th St. It's also listed for $1,400 / month. In the unit, there are air conditioning, hardwood flooring and a dishwasher. Building amenities include outdoor space and on-site laundry. Hairball alert: cats are permitted. Here's a 1-bedroom, 1-bathroom apartment at 2209 Carpenter St. that's going for $1,395 / month. The unit features both air conditioning and central heating, hardwood flooring, granite countertops, stainless steel appliances and a ceiling fan. Building amenities include a backyard and storage space. Pets aren't permitted. Located at 1611 Christian St., here's a 2,655-square-foot 1-bedroom, 1-bathroom townhouse that's listed for $1,300/ month. In the unit, you can expect hardwood floors, granite countertops and plenty of natural light. The building features storage space and on-site laundry. Cats and dogs aren't welcome.